You need to be Jio Subscriber, or You can get Jio SIM . Jio customers will have to pay Rs. 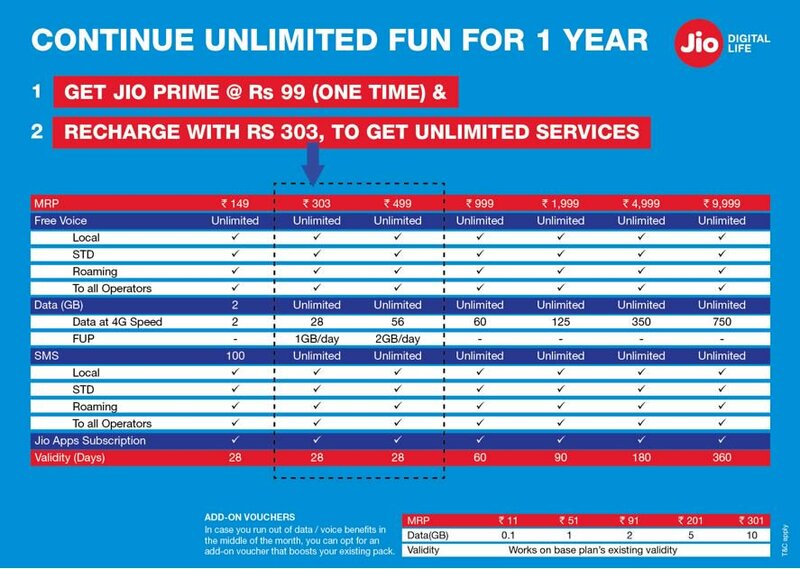 99 to get Jio Prime Membership which is for entire One year. 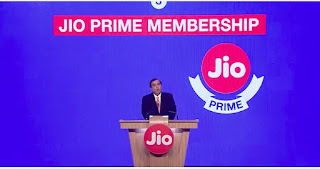 If u don't want Jio Prime Membership, Then you need to recharge from than Plan which is announced earlier. With Prime Membership u will get 30GB for Rs 303. "There will be many other attractive deals and offers from both Jio and its partners the Jio Prime members." Jio Prime brings a host of benefits with it. 1) It gives you the opportunity to avail unlimited benefits of free voice (Local, STD, Roaming, to any operator, anywhere in India), data and SMS that you have been currently using till 31st March 2018 for a nominal charge of Rs 303 per month. You could also choose to enhance your benefits at nominal incremental fees. All customers who join Jio before 3rd March, 2017 under the Jio Happy New Year Offer can continue to enjoy free benefits until 31st March, 2017. New customers who join from 4th March, 2017 can get unlimited benefits till 31st March,2017 by simply opting for the Jio Prime Rs. 99 one-time membership fees. Currently, Jio has 9 tariff plans to choose from. These start at Rs. 19 and go all the way up to Rs. 9,999, which you can choose depending on your preference. Rs. 303 plan allows you to continue your unlimited benefits for a month (28 days) and therefore we would recommend you to recharge with Rs. 303 plan.